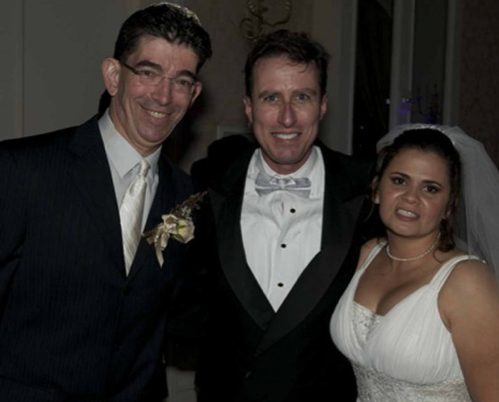 When I was asked to MC for the wedding reception of Robyn Hughes to Anthony Butorac, past President of the “HyperFrogs” fan club at Texas Christian University, I knew to expect a fun event. After setting the date and contracting with the Party Machine and their other vendors, Robyn and Anthony were disappointed to learn that their beloved Horned Frogs would be playing football on their wedding day! 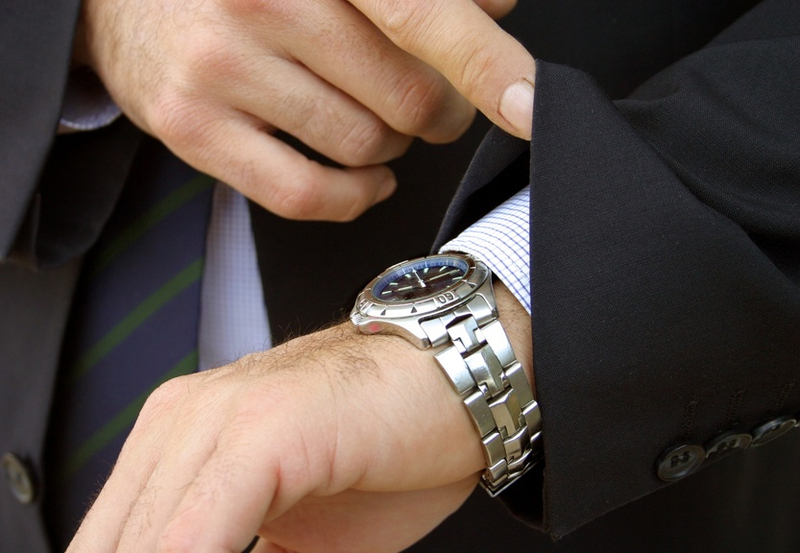 In fact, kickoff was scheduled for the same time their ceremony was to begin. The current HyperFrogs leader was among the guests, and was not pleased about missing the game for a wedding. But it was too late to make changes, and this group was not about to punt! To provide some perspective for those unfamiliar with Horned Frog football, TCU had just won a conference championship after the best season since the 1930s last year, so to say that enthusiasm was running high would be an understatement. 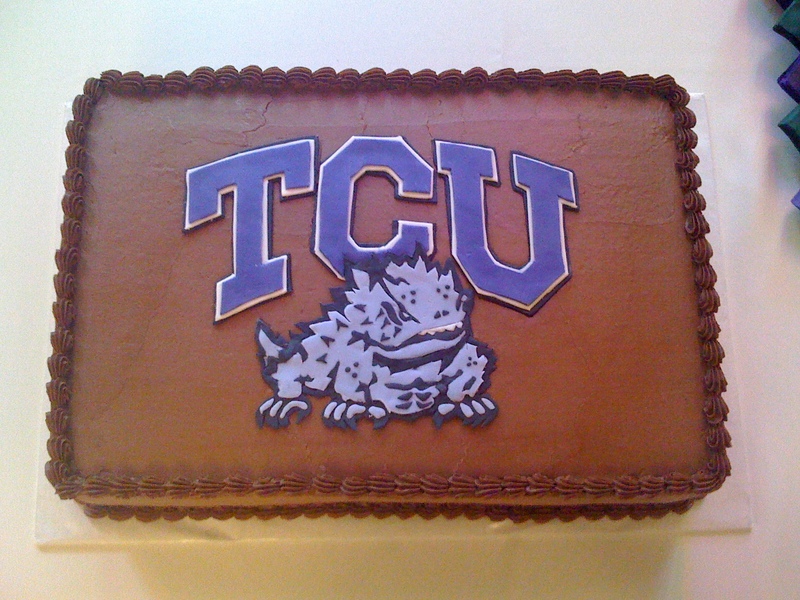 Anthony's Groom's Cake featured the most unique mascot in college sports, the TCU Horned Frog. Their wedding party was comprised of current TCU students and alumni, and so was the guest list. So I tracked the game online and announced real-time scores throughout the evening, starting as photos were being taken of the wedding party, when we learned that TCU was winning, 7-7. During photos the guests enjoyed cocktails on the new terrace of the beautifully remodeled Belltower Chapel in Fort Worth. Using our exclusive Party Machine wireless speaker systems, we were able to “beam” Robyn’s selection of elegant classical music outside during cocktail hour. 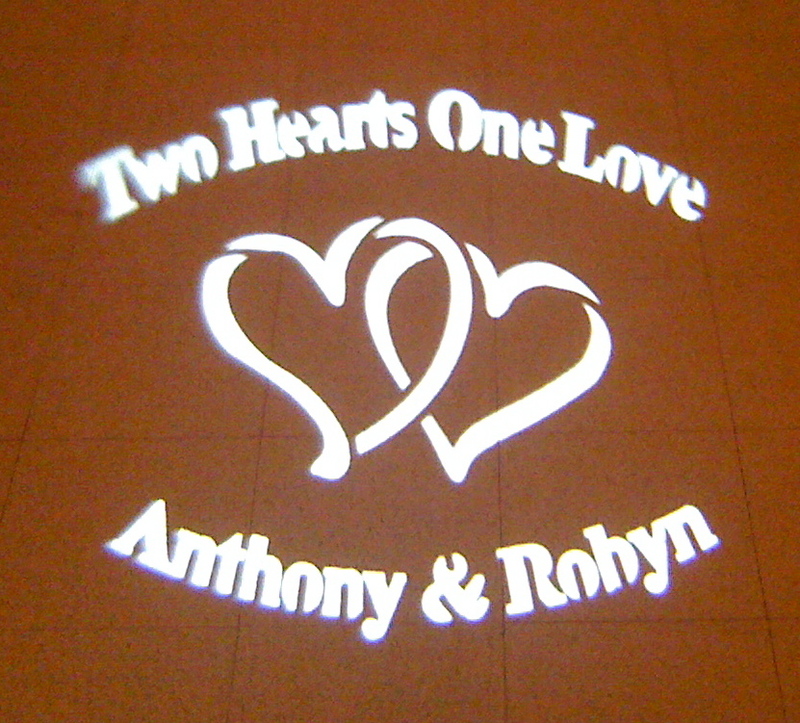 Anthony and Robyn's monogram was projected in the center of the dance floor. Let Your True Colors Show! Some of my favorite modern technology has to be LED lighting, which makes it easy to make lights shine in any color you wish. It is simple to totally transform the look of any room, or even outdoor spaces. We can “Light The Night” in your favorite color, your school colors, or your wedding colors. So it was no problem at all when Tara Eckelkamp handed me a ribbon, and asked me to light her ballroom the same color as the ribbon at her wedding to Jeff Hackney. The individual LEDs in modern stage lights are red, blue or green, and they combine, exactly the way your color TV screen does, to render any of 16 million different colors. The intensity of RBG can be adjusted to blend colors, using either a simple fader control, or with sophisticated computer software. Tara’s mother, Sherry dashed into the ballroom to approve the color match. 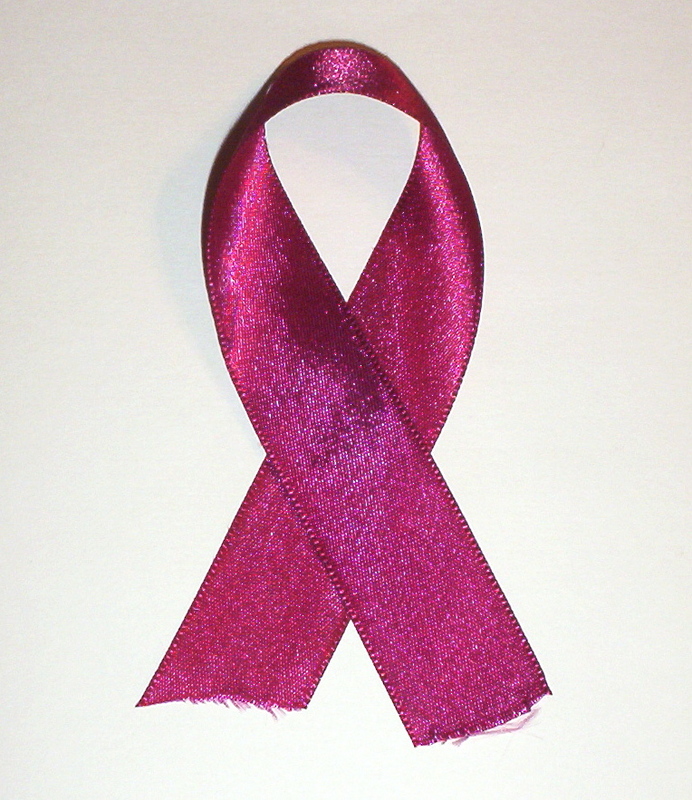 With a single click, it was perfect – just like the ribbon! 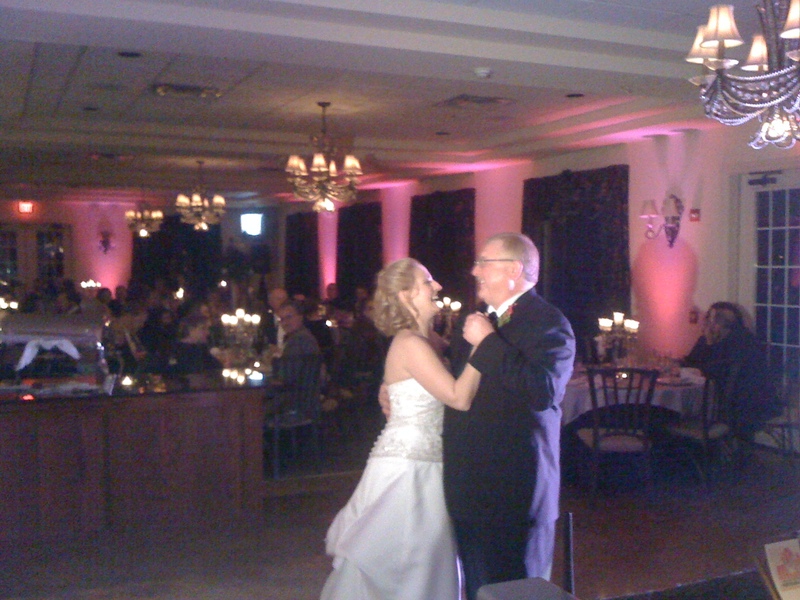 Tara Hackney dances with dad Hugo Eckelkamp with the room bathed in lights in her Bridal Color. NOTE: Camera flash makes the colors appear lighter. The “old school” method was to place a colored gel on a light. But stage lights get hot, and gels can burn and colors fade, not to mention that the gel must be changed to alter the light’s color. And to have lots of colors available meant maintaining a huge inventory of gels. Plus the old incandescent lights got hot enough to cook on, and consumed lots of power. 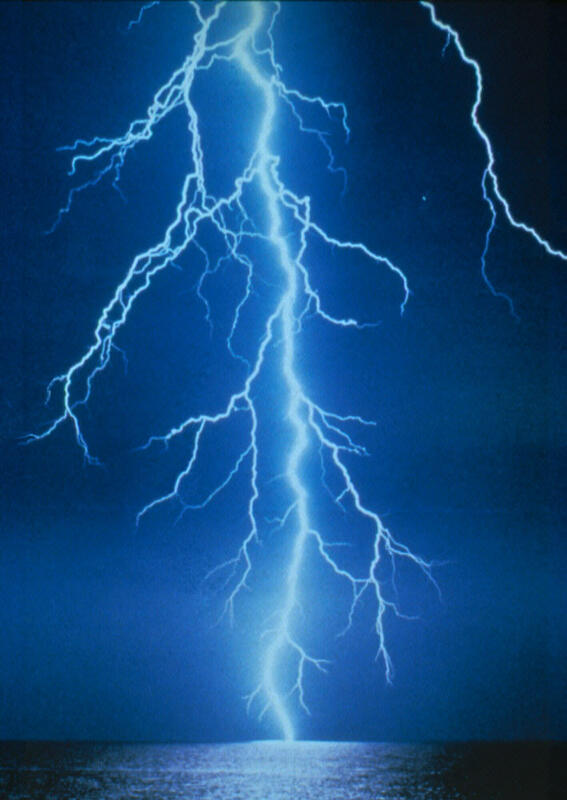 A separate electrical circuit was required for every 3 or 4 stage lights. This meant extra power supplies (and extra charges) at many venues, while making such lighting impractical or even impossible at others. A modern LED Par light can generate the same output on 15 watts that required 400 watts on the old school lights. 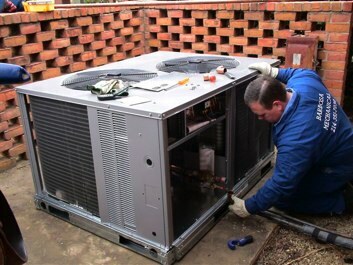 This eliminates complexity, cost, and saves electricity. We even have portable Party Machine power supplies and control receivers, making them wireless! But it also opens the door to a whole new realm of creativity in decorating with light…and at a lower cost. Because they don’t get hot, they can even be used on ice sculpture! Give me a call at 817-294-9539 to discuss decorating with light. It was a bright sunny day when we left. All was ready as the Party Machine crew headed out for Monica and Rick Anderson’s Texas Aggie wedding. Playlists were saved and backed up on two computers. Scripts for introductions and timelines were printed and copied. Tuxedo pressed, backup sound system, spare computer, backup tux…as always, we were prepared for any contingency. We were ready, come hell or high water. Murphy’s Law is no match for the Party Machine and a bunch of Texas Aggies!